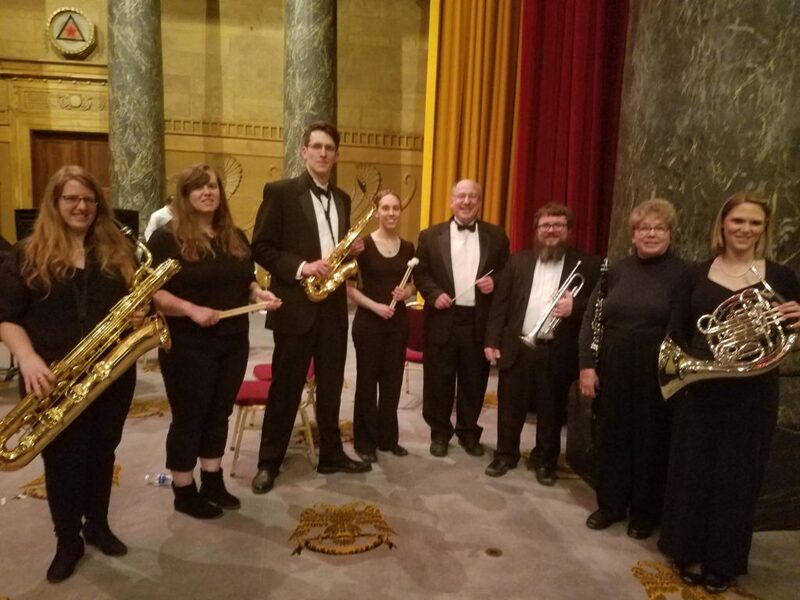 On Sunday, May 6, 2018, the Central Iowa Wind Ensemble presented its tribute concert dedicated to Leonard Bernstein (1918-1990) and other American composers. 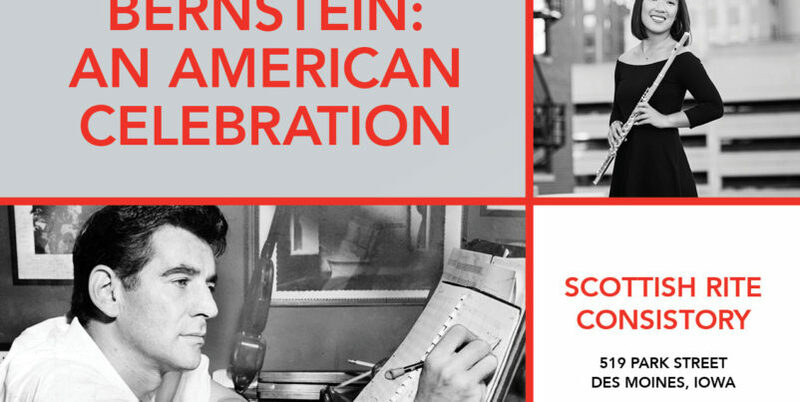 The last concert of the ensemble’s 15th season, “Bernstein: An American Celebration” treated the audience to well-loved pieces by Bernstein and other American composers including John Philip Sousa, Henry Filmore, and Aaron Copland. 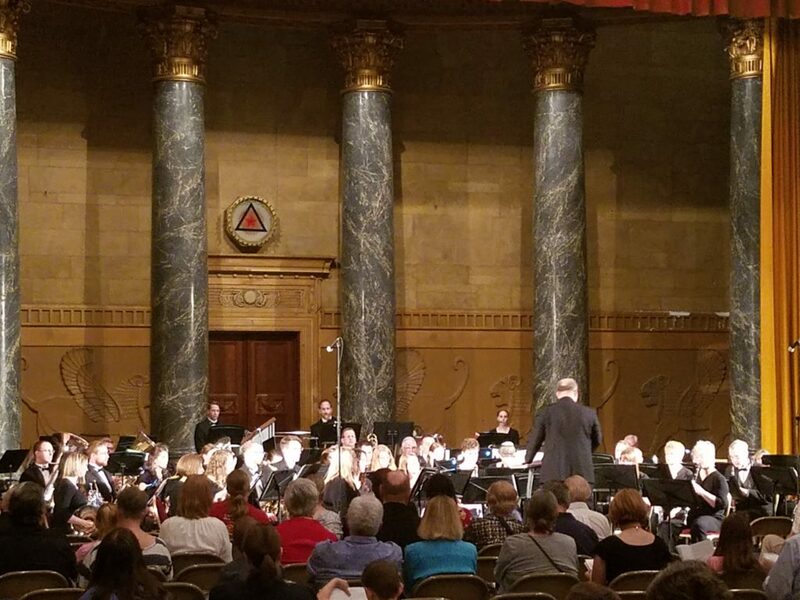 The afternoon concert was held in the auditorium of the Scottish Rite Consistory, situated at the corner of 6th and Park Streets in downtown Des Moines. This was my first visit to this interesting venue, which was completed in 1927 by the Scottish Rite, part of the Freemasonry organization, and added to the National Historic Registry in 1983. The marble and stonework of the building is quite impressive, and the auditorium on the third floor displays symbols of Freemasonry on the ceiling and walls. Resembling an Egyptian temple, the auditorium seats 1000 and has a pipe organ and choir loft in its upper level. Fanfare for the Common Man, written by Aaron Copland in 1942. (Alas, I missed this first number as I was searching for a parking spot along the streets of downtown Des Moines; most spots were already taken due to events going on at the nearby Wells Fargo Arena). This piece has a terrific opening featuring percussion and trumpets. For kicks, enjoy this cover of Fanfare for the Common Man by Emerson, Lake & Palmer (recorded in Montreal’s Olympic Stadium in 1977); you gotta love that synthesizer! Overture to Candide written by Leonard Bernstein in 1956. This fast-paced piece is technically challenging for the musicians and a fun piece to listen to. Enjoy this recording of the composer conducting–and dancing to–this piece in 1989, just one year before his death. He’s certainly having a ball on the podium! Fantasie for Flute and Orchestra, written by Georges Hue in 1913 and arranged for wind ensemble by John Bourgeois. 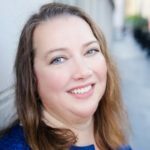 This piece featured the CIWB’s student winner of its annual Aimee Krug Memorial Student Solo Competiton. Maya Miller, a senior at Roosevelt High School in Des Moines, played this challenging piece beautifully. Rolling Thunder, written by Henry Filmore in 1916. American Salute, written by Morton Gould in 1943. Another up tempo piece adopted from the Civil War era melody “When Johnny Comes Marching Home.” I like the bassoon parts in this piece. Chester, written by William Schuman in 1956. A slower tempo allows the richness of the woodwinds and brass to shine through in this tune based on a very popular Revolutionary War melody. Washington Post, written by John Philip Sousa in 1889. Sousa wrote this march at the request of the Washington Post newspaper to be played at an awards ceremony. An interesting note is that this tune became quite popular with people dancing the “two-step”, especially in Europe. I don’t really understand how you dance to this; it’s so clearly a MARCH! Mambo from “West Side Story”, written by Leonard Bernstein in 1957.
Who doesn’t love the music in “West Side Story”? This short Cuban-inspired piece is a crowd-pleaser. This video is of an orchestra, not a wind ensemble, performing “Mambo”, but you’ll definitely feel the Mambo vibe. Be sure to watch until the end to see the trumpet players twirling their instruments. What a blast for the musicians and audience! Slava!, written by Leonard Bernstein in 1977. This concert had something for everyone with its marches, war-era melodies, fanfares, and excerpts from musicals. 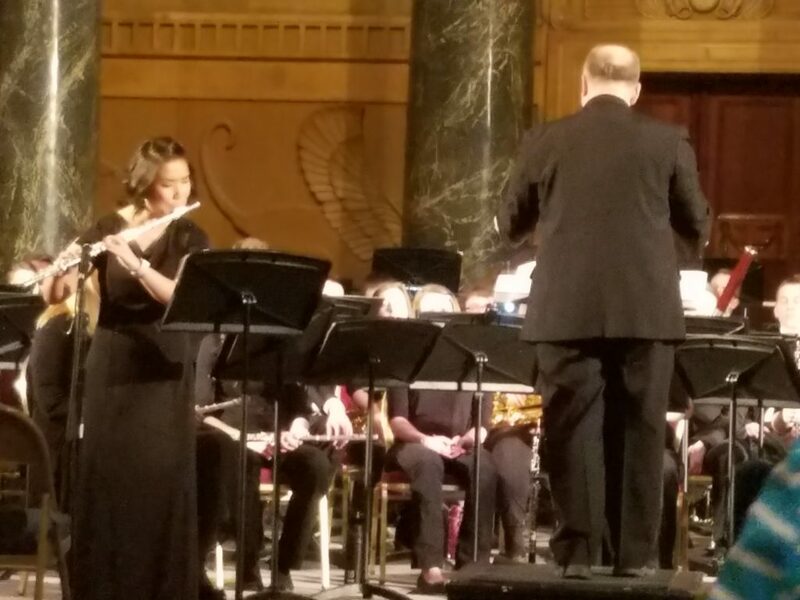 Bravo to the Central Iowa Wind Ensemble musicians and conductor! To keep on top of the group’s upcoming schedule, subscribe to its newsletter.